USDCAD is massively under the influence of Canada’s new housing price index and Canada’s existing home sales data. Although this pair started today with a bullish candle then it was followed by two bearish candles and made the trend bearish. 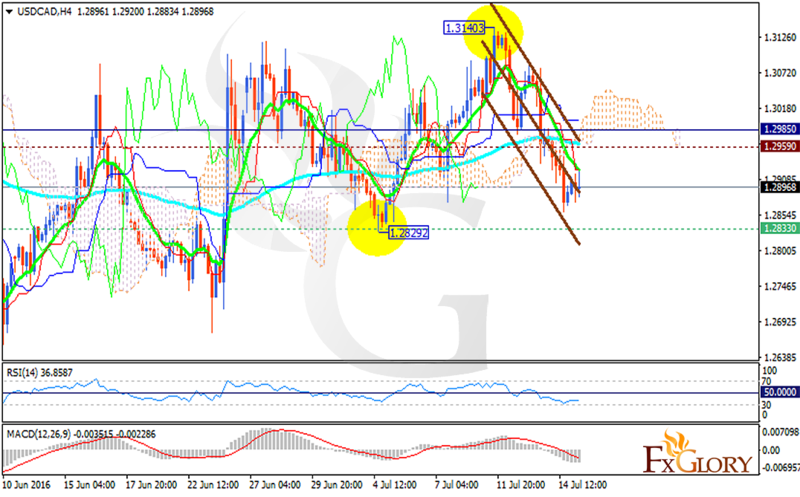 The support rests at 1.28330 with resistance at 1.29590 which both lines are below the weekly pivot point at 1.29850. The EMA of 10 is falling along the descendant channel and it is located below the EMA of 100. The RSI is below the 50 level and the MACD indicator is in negative territory. The price is under the Ichimoku Cloud and it is under the Chinkou Span. The Tenkan-sen is showing downward momentum and the Kijun-sen is showing a horizontal movement. Long positions from before must be closed immediately and sellers can start their positions now.